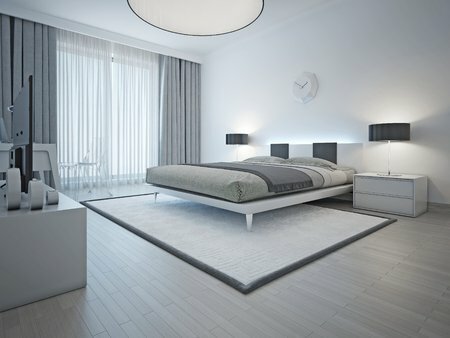 With guest being of all ages of life, you will need to have a guest room that can be tailored for all genres of people. Minimalist design is perfect because it is a beautiful open design that can appeal to all age groups. Having the room being so universal is the key to creating a successful guest bedroom. Minimalist design is great for creating a calm, welcoming environment. It provides the perfect remedy with its clean-cut nature that that helps the room feel ever-so-elegant with less is more being at the core values. Keep the space from having an excessive amount of furniture and color will help keep the room feeling “move-in-ready for everyone. Make sure you still get enough key components that the room feels complete but never overdone. Another great feature of the minimalist design is how timeless the style has been. It can be low maintenance and easy to keep cleaning being limited on furniture. Sometimes harsh colors can be trendy, but with a monochromatic palette, you have no potential of the room going out of style. You can still add splashes of color but be cognitive of keeping the room from feeling too trendy. Keep the room feeling robust and ambitious but never overpowering and leading towards too harsh of a style. This allows the room to be easily adaptable to anyone. The key to this design is quality over quantity and to make an enlivening room that all are welcome. We hope you enjoyed this tips and tricks! Be sure to check back weekly for more expert design tips. Depending on where you live, your balcony may be your yard. Take advantage of the plot of land you have outdoors by adding a planter and even growing a garden. You can put decorative plants around to give a lively look to your balcony. Tall bamboo can be easily produced and is low maintenance. If your lease allows you, hang a planter with flowers from your balcony. If your balcony cannot get rainy access, remember to water your plants frequently or go with faux plants. You have a couple different ways to add lighting to your balcony. Candles are fabulous to add and create an outdoor ambiance with their natural, low light emittance. You can also consider using fake candles or build a fake do-it-yourself firepit with Christmas lights wrapped around the logs. Respectively, Christmas lights do not have to be seasonal! Adding white Christmas lights is a great way to turn your balcony into a classy retreat. Outdoor paper lantern lights are also a great way to add character to your outdoor space. Composite decking board is an easy floor you can install right over your existing balcony. Most renters will not allow you to install glue down turf or other flooring options, but with a floating composite decking floor, you can add an incredible look to your space. There are so many different designs of composite deck flooring to choose from, allowing you to really customize your space. This can make a huge difference to the aesthetic look of your balcony. Curtains do not only belong indoors! Adding curtains to your balcony can give you some privacy. You can also use decorative blinds on the outside of your windows to add to your balcony design. If your balcony has a railing, consider installing decorative blinds. Curtains can do wonders for giving your balcony a sophisticated, exclusive feel. With all this new-found beauty added to your balcony, you are going to want to be outside more. Adding a decorative bench, comfortable seating or whickered chairs can bring quality time outdoors. Outside cushions can make your outdoor oasis more cozy and welcoming. Seats with storage underneath are perfect multifunctioning tools and you can use them to amplify the space you are given. Your balcony should be facilitated as part of your home space. Investing your balcony is a great way to get you to use your outdoor space. Make your balcony welcoming and a place to relax at home with these fun tips. You will be surprised how often you find yourself using your balcony after you finish it. When you think of the colors of the rainbow, is indigo the first color that comes to your mind? 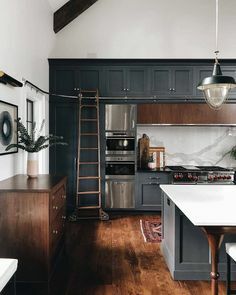 For some reason, this color gets forgotten from people’s original thought of colors to add to their homes, but this is an excellent, cool tone with luxurious depth that can enhance the atmosphere of your room. Pulling the benefits from both blue and purple this mysterious yet tranquil color is a great decorating staple to be added to your home. Indigo is a great color because it can work all by its self to create a rich accent tone in the room. 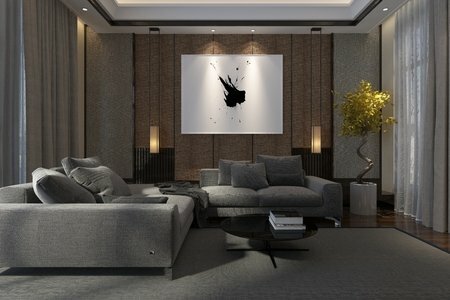 Its dark nature gives a dramatic pop against neutral colors while not clashing with darker tones like blacks and browns. You can stay within the dark spectrum of indigo, or you can even go with lighter tints to help brighten up the atmosphere while keeping it elegant. Indigo, being between purple and blue on the color spectrum, has many of the benefits from both colors. The color indigo is considered a natural, visionary cool tone. It is associated with an increase in concentration and imagination. It borrows character traits from blue by making an atmosphere feel more tranquil and cooling. This calm tone also takes properties of mystery and creativity from the color purple. Using this color in your home has an introspective purpose and can really enhance your room’s overall ambiance. You can also use indigo as a great accent color with many different hues. It can be mixed in with warm tones to be a hard accent, or it can be subtler by being mixed into a cooler toned room. Indigo is a very welcoming color which compliments greys and golds tremendously. 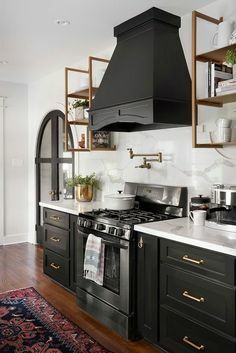 Another powerful property of this accent color is that it can be incorporated in almost any design theme from modern to rustic or eclectic to nautical. This is a great accent come with substantial components of natural colors. 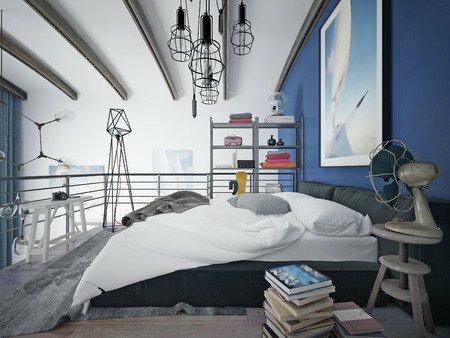 So, if you are looking to put a splash of color in your room, consider indigo. It has been a forgotten color but provides a powerful impact in the design field. This great accessorizing color adds style to a room while providing a unique and luxurious pop. In a buying market, kitchens and bathrooms are considered to be the two most important rooms in a home. Regularly without the buying market being considered, bathrooms and kitchens are still important areas of our homes. Whether we would like to admit it or not, we spend a majority of our time in the bathroom. From getting ready in the morning and showering to brushing our teeth and getting ready for bed, we begin and end our days in the bathroom. With bathroom’s being a highly-used space, should not our focus be on maximizing their design potential? With our top tips, we hope to inspire you with beautiful bathroom color ideas to take control of your bathroom’s potential. Let’s take a look! You can actually use your getting-ready routine during the paint selection process. While you are getting ready for the day, you will want to see how the paint reflects the lighting within the space. If it projects the light back in an unflattering manner, you will want to choose a different color. Paint experts recommend sticking to colors like yellow, green, and blue. You will also find that neutral tones like grays and off-whites will help make a greater impact. Often, we use our bathrooms as a center for relaxation. After a stressful day, there is nothing quite like a bubble bath. To help create an emphasis on this “spa-like” demeanor, we recommend choosing more tranquil shades. Light colors and pastels help to create a dreamy oasis. You will want to pair it with the color choices that we mentioned previously; therefore, you would choose colors like pastel blues, light seafoam greens, etc. If you have a half bath, be sure to maximize its potential with the paint color. Do not skip over it just because it offers little wall space. You can take advantage of the mini-room by utilizing colors that reflect natural light. If color scares you, neutral tones are always an excellent choice. Neutral colors can create a soft, welcoming environment without taking away from other key elements in the room. 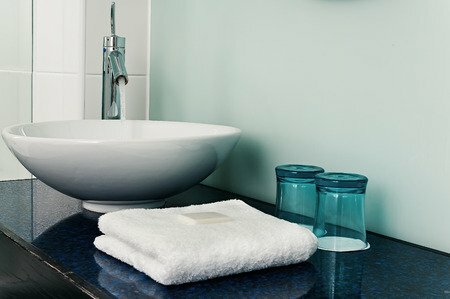 You can easily balance any neutral color into your bathroom for a cozy look. Thanks for reading! Let us know your thoughts in the comment section. The easiest way to identify eclectic style is seeing the broad spectrum of all styles merged into one. Perfecting this style can be challenging and seem to be overwhelming, but with the proper guidelines, it is a fun, creative way to make your home beautiful and artsy! With no strict guidelines on the color palette, it is important to remember to involve some neutral colors to help balance the room. The hardest part about perfecting an eclectic style room is finding a center balance which pulls the whole theme back together as one. With these four tricks, you will have your eclectic style well on its way and to bring the entire look together correctly and confidently. Most people will think eclectic is a free-for-all and anything can be added to your room to strengthen the style. This is far from the truth. The originality is a crucial attributing factor to this style, and you should try to find a focal point in the room to make it successful. Remember to keep the space from feeling overwhelming by creating a welcoming and homey feel rather than a cluttered and disorganized design. A focal point is a great way to help keep the room’s focus on purpose. While these fun, artsy rooms do have a broad spectrum of components that can be added to the room, they still have to a sense of purpose. 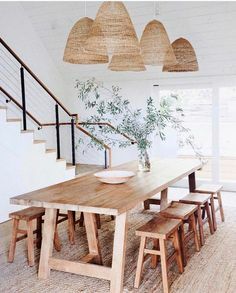 Picking two or three distinct features that you want to continually compliment will help the room keep a sense of unity while also purposing it with a unique characterization. Not everything needs to match, but it needs to reflect your taste. Adding furniture that does not can seem distasteful, but with a sense of purpose in mind, you can tastefully find balance. Chairs at a dining room table do not have to all match but can subtly help compliment each other. You can have a room flow freely through cool tones and then throw in a contrary warm tone to add to the room. When you begin to think outside of the box, you can add less traditional items to the room and use them to help enhance your space. You do not want to stray too far from your focal point and your sense of purpose. Remember though color is essential; neutrals will help keep your room grounded and less chaotic. Include neutral colors to furniture and other household appliances to keep the room from straying too far in one direction. This is key to keeping the room balanced. Now that you have a sense of direction on the style you are ready to make an eclectic room. Remember balance is still key and the room is not a free-for-all. Adding all sorts of metals, plastics, stones, woods, and art is fine, but they should relate back to a focal point or focal points in the room. For more great tips and tricks, visit us at Century Tile. Every grand piece of art has a focal point; therefore, you will want to make sure your living room has one. Your focal point should help not only amplify the beauty of your room but be reflected to by everything else the room has to offer. Keep your focal point as a guide on what colors, woods, or metals you want to use in your space. You can add a piano, an entertainment system, a large panoramic mirror. Paintings are another great focal point to add to the room. Your room needs guidance prior to starting your project, decide on the design you want your room to portray. You can use rich, warm color tones like golds, deep reds, or rustic oranges, or you can try going with more tranquil cool colors like royal blues and purples. Neutrals have a substantial effect in Scandinavian and Modern Designs. Paying attention to detail is mandatory when adding your theme. Use decorative elements to help amplify your theme. Less can be more in a luxurious space and prevent decor pieces from stealing glory from your room’s focal point. The fabrics and materials you put in your room can hurt it if they are not on par with the rest of the rooms luxury. Silks, wools, golds, hardwoods, and leathers are all practical materials that help intensify the alluring look you are striving to have. Plants can add energy to a room as well. All your textures and materials are all icing on the cake but be classy and wise about what you choose. Your living room should reflect elegance in every angle. Incorporate in fabrics, your theme, and your focal point to have a well-balanced room. Let your living room be the most luxurious room in your home. When starting your project, you want to a have a general theme. When purchasing your pictures or printing them out, you want to have a universal design that ties them all together. You can pick a color scheme or hues that compliment the room, culture or travel, rustic, modern, or eclectic, just try to have a general purpose that balance them all together. You should also decide on a theme for the picture frames. Do you want them to all be the same or a random color in the mix? Decide your theme prior to beginning your purchases. A wall gallery does not need to focus on all the picture being ununiformed in size primarily. Let it be creative by incorporating pictures of different size. Some being large, small, rectangular, or square. Practice either on a computer or on the floor finding the perfect layout for your wall. When you decide what you want the end layout to look like, save the idea or take a picture of it, so you remember it when you begin hanging. Your spacing is crucial to keep your wall gallery from looking sloppy. Use a tape measure and spacer to help keep your spacing uninformed. You will also want to have a leveler to make sure they are all lined up nice and straight. The last pro-tip is to work from the bottom up. If you start at the base, you will know where your lowest point is. Whether this is going above a couch or on an empty wall, this is an ideal way to gauge space prior to putting holes into your drywall. 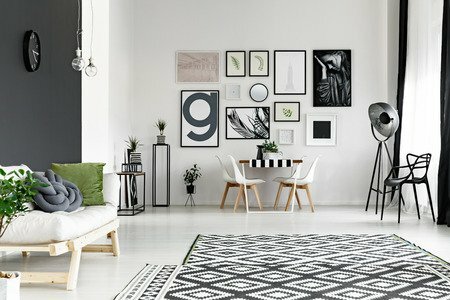 Having a gallery wall is a great way to own your home and make it yours. Not only is this creative way great for adding to your design but it allows you to express yourself through pictures. A picture can say a thousand words and can really develop the room’s entire atmosphere. Light is only a small part of the electromagnetic spectrum which we can visually see. It allows us to identify objects through color and sight. Colors and light contribute a vital role to our development and well-being. This is why color and light can directly correlate with how we feel and give us energy. Designers have been captivated by the power of light in homes for centuries and have been incorporating its importance more and more into design. If your home is not well lit, it can give a dreary, unmotivating feel to it. There are different categories of lights to integrate into your home, and we put together a list of the top three lighting option to include into your space for a more positive, well-lit atmosphere. This is your general source of light in every room. This light is your soft glow, main light that illuminates the space. Ambient lighting should set the mood of your room, but its primary purpose is to provide enough light to maneuver yourself around your room with ease. This can be used in your room as a chandelier, rail lighting, wall sconces, or pendant lights. Be careful of making your ambient lighting too harsh. Its primary purpose is to softly blanket the atmosphere, not to overpower it. This is the lighting you will use to brighten up work areas. You can put reading lamps by chairs or above workstations. Use this lighting near a desk or in your kitchen workspace. The goal of this light is for more detailed work like reading or preparing food to be done with ease. You can even have these lights recessed under cabinets to project light on your countertops or invest in some floor lamps. Think of accent lighting as a concentrated light to allure someone’s attention. This is predominately associated with museum lighting used to highlight display/pieces of artwork in a collection. Incorporate this lighting in your home to accentuate furniture or paintings. This is most common during holiday seasons such as wrapping a Christmas tree in lights. This lighting is meant to evoke the importance of pieces in the room. All lighting is essential to creating a room’s atmosphere; however, it is necessary to find balance. Try to encapsulate all the genres of lighting in your home to make your space feel more lively and free-flowing. Do not let lights that are meant to soft-lit feel overpowering as well as you do not want to find yourself underutilizing the power of accent and task lighting. Balance is always essential when designing your space. Buying a new home can be an anxious and exciting process. Change is a realistic part of life, and it can be a little stressful at times. You probably have a ton of ideas and design plans you are eager to incorporate in your new home. Décor and design are crucial to expressing yourself and making your space feel like your own. First, you will want to decide on a theme you would like to obtain. 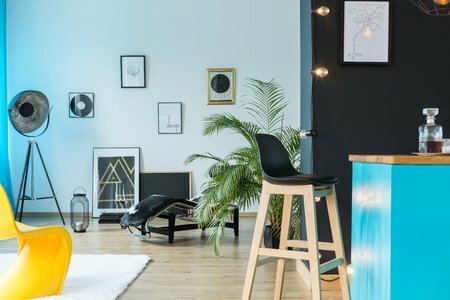 When decorating your new space, there are hundreds of ideas to consider, so we put together a list of six décor ideas that can quickly personalize your space. Pictures are a great accessory to add to walls. You can put personal family pictures in frames or purchase wall art. There are many kinds of paintings, posters, and canvases for homeowners to incorporate. Pick a theme for your home and let your pictures bring it to life. Whether you like neutral minimalist painting or energetic, colorful illustrations, this is your chance to empower your space through a theme. Pillows can really amplify your room. If you are going with a theme, they make great accent pieces and the opportunity to add color! You can get throw pillows with animals prints or bright colors. With so many options today, you can easily find the perfect pillows to add to your new home. Plants add life and energy to an atmosphere. Adding plants throughout your home can improve air quality while looking great. Plants make a home feel lived-in as well because they are dependent on being watered and nurtured. Find plants that compliment your theme whether they are big, small, long, or wide. Once you have mastered some of the rooms aesthetic, you can focus on making your home smell pleasing as well. Candles also give off great energy vibes in the room and add to the experience of your home. Pick candles that you enjoy but be cognitive that scents do not clash if placed in the same room. Rugs are great pieces to add to your floor. Adding rugs gives a cold ground, a cozier feel. Express yourself through the rugs you chose. They can come in all shapes or sizes and can be placed throughout your home. Theming your home is an enjoyable task and should not feel stressful. Have fun making your new home your own and adding colors and furniture to express yourself. With a clean slate, you can choose the design of your home. Making your space feel like home is a project worth investing. You want to make your new home express you and make you happy. Picking themes for your room and sticking to them can be the most challenging part, but once you begin, you will love it. Hey Pete! We are planning to put porcelain tile on the floor in the laundry room. We also plan to put in a utility sink. Which would you do first- install the utility tub or tile the floor? I went into the store at 81st and Cicero and Lou Sivak was the best, most knowledgeable and greatest help that I have every experienced. I will come back again because of Lou’s customer service. Haha. I woke up down today. You’ve cheeerd me up! Hello there! I could have sworn I’ve visited this blog before but after looking at a few of the posts I realized it’s new to me. Regardless, I’m definitely pleased I discovered it and I’ll be book-marking it and checking back frequently! reading this impressive article to increase my know-how.